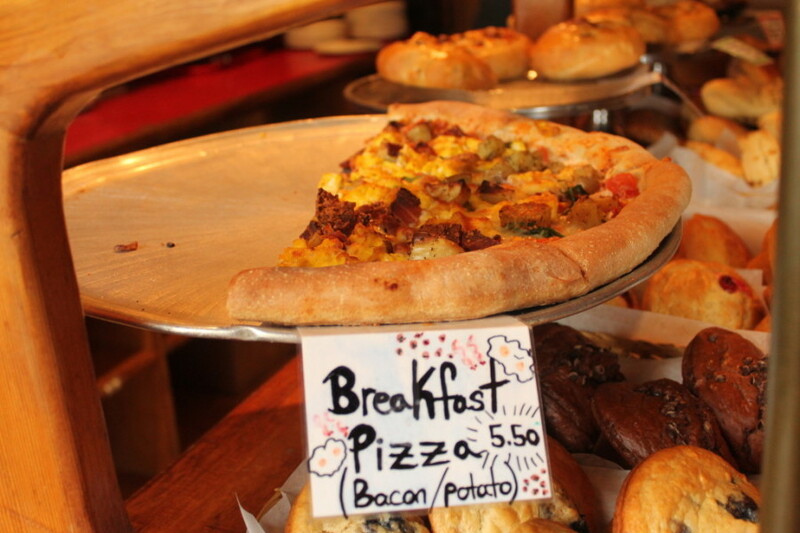 For a small town, Tofino has a bustling food scene. This can be attributed partly to the fact that it’s a fishing town, so beautiful fresh seafood is always on hand. I think also, many creatives, like chefs, are attracted to the lifestyle of the small town; its beauty, it’s neighbourliness, and the surfing. For whatever reason, Tofino has some really amazing eateries. I spent a day touring the food establishments of Tofino, and here’s where you should eat the next time you visit Long Beach. The Common Loaf (180 First St): located in an adorable old heritage home just off of the main drag in the main town of Tofino, The Common Loaf is your source for everything bread-related. They sell bread, 4 different kinds of sourdough, croissants, muffins, and pretty much any kind of cookie or cake you can think of. They also serve light meals and coffee. But for breakfast? It’s gotta be a slice of their breakfast pizza. 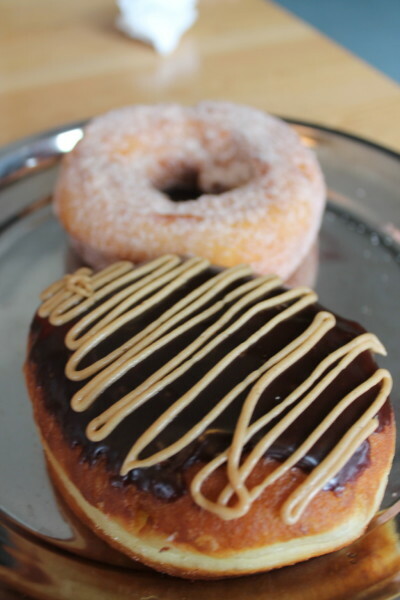 Rhino Coffee House (430 Campbell St) : this brand-new coffee joint serves Parallel 49 coffee alongside their own house-made doughnuts. 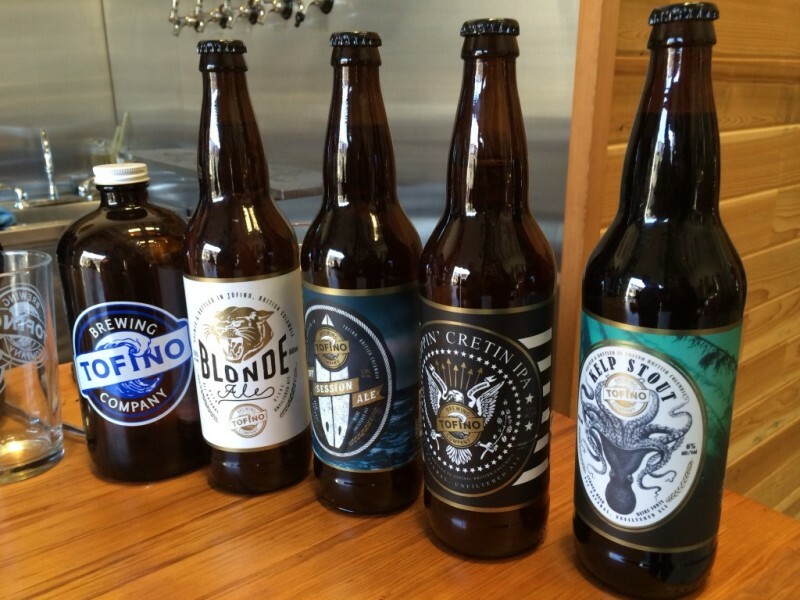 There are some great flavours, including three different varieties made with beer from The Tofino Brewing Company. If you’re brave, try their Bro-Nut: a fried egg, you choice of bacon, ham or sausage, tomato, aged cheddar and lettuce… on a donut. 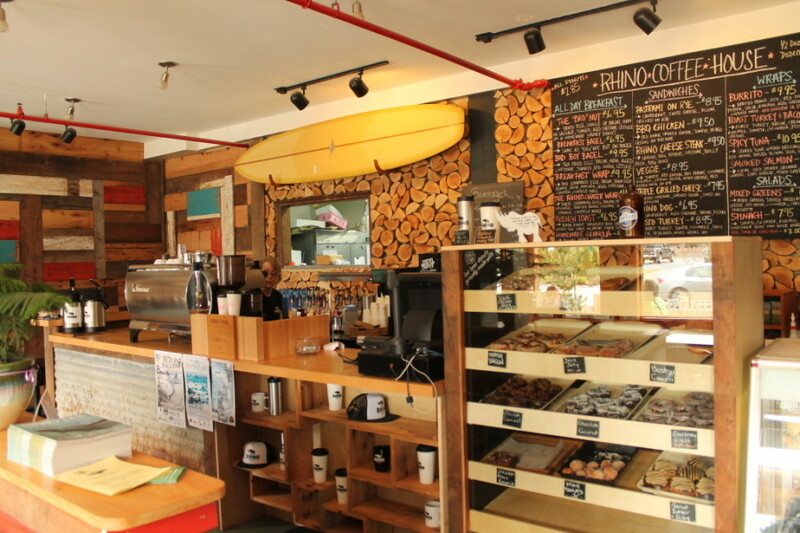 The WildSide Grill (1180 Pacific Rim Hwy) : Just outside of the main town, there’s Tofino’s version of a strip mall: it’s a series of businesses; surf shops, coffee shops, artist studios, and semi-permanent food trucks. There are two here, The WildSide Grill and the Tacofino Truck. 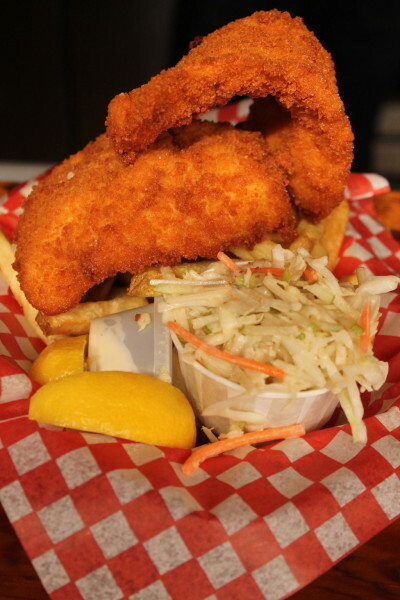 One of the owners of the Wildside is Jeff Mikus, a local fisherman, and their philosophy is boat-to-plate. The day I visited, they had just brought in hundreds of pounds of halibut. What to eat here? Fish ‘n’ chips, natch. Their fish tacos are popular, as is the salmon burger, and for the more daring, beef tongue or octopus tacos. 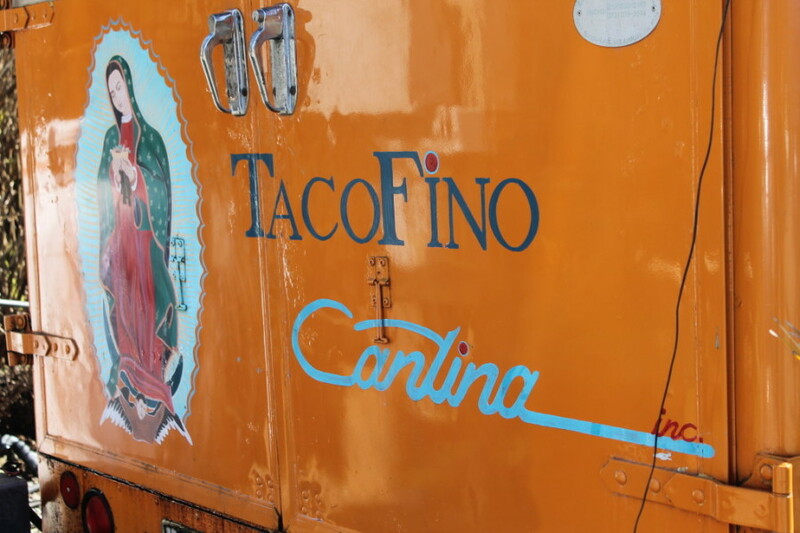 Tacofino (1180 Pacific Rim Hwy): The original food truck that started it all in Tofino, Tacofino is part of what established Tofnio as a culinary port-of-call. 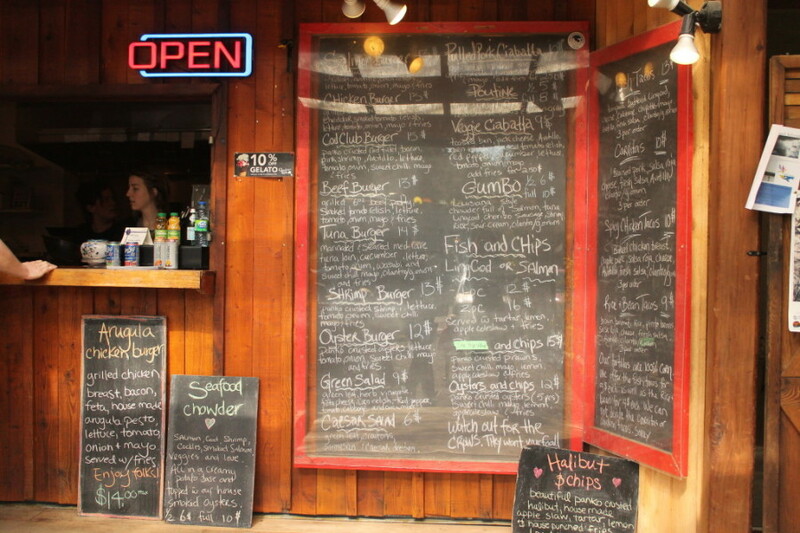 You can’t visit Tofino without trying one of their Baja Fish Tacos. We are now lucky enough to not have to drive all the way to Tofino to experience the Tacofino fish taco: they have both a food truck in Vancouver, and a stand-alone restaurant, the Tacofino Commissary (2327 E Hastings). 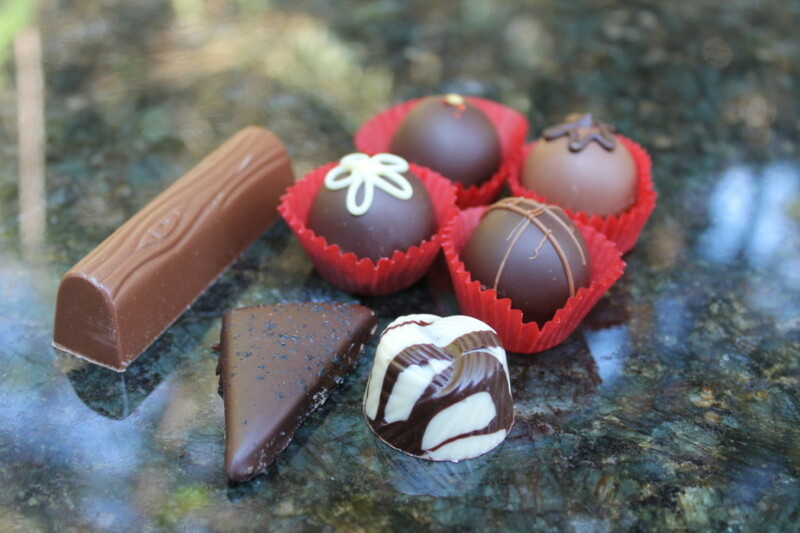 Chocolate Tofino (1180 Pacific Rim Hwy): In the same Live to Surf complex that houses WildSide and Tacofino, you’ll find a tiny chocolate shop. And I mean, tiny. There’s barely room for 4 people in here, but there’s always a lineup out the door for chocolate and home made ice cream. Kim and Cam Shaw had very different lives before they moved to Tofino. They were working in business and graphic design, and they simply looked at each other one day and asked “is this what we really want to be doing with our lives?” The answer was no. They chucked it all, moved to Tofino, purchased a business they knew nothing about, and started to learn how to make chocolate. Now, folks from near and far line up for their home-made creations, some of them quite wacky, but all made with love. Cam grows the peppers for the La Maya Truffle, and the two pick the blackberries every fall for their Wild Blackberry Buttercreams. Their chocolate also goes into the homemade gelato. The Spotted Bear Bistro (101 4th St): A tiny bistro tucked away around the corner of the first intersection in Tofino, The Spotted Bear is all about upscale comfort food. 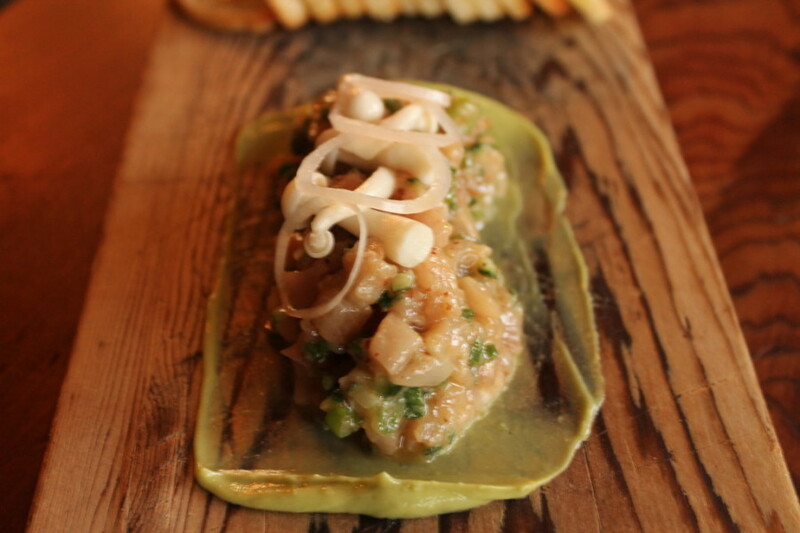 Chef Cam’s Tuna Tartare is legendary in this town: I had no fewer than three chefs recommend it to me. The menu relies heavily on seafood, but there is also a daily pasta special, and the cocktails are also quite fine. Try a Sneaky Pete along with your Tuna Tartare. The Pointe at The Wickaninnish Inn (500 Osprey Lane): There is not a bad seat in this house. The Pointe is built over the water, and offers 260 degree views of the ocean. It’s a spectacular place to have dinner at sunset. The Executive Chef here is Warren Barr, part of the crop of young, upstart chefs that are making a huge impact on the food scene in Tofino. The Pointe is upscale: but attention to detail (like everything else about The Wick) is key. Swiss-trained Chef Warren (who has spent time in classic French kitchens like Le Crocodile and Bistro Pastis) describes his menu as “comfort with a splash of flair.” Their most popular dish is the salmon, but you can also get a steak or a great burger here. For the more adventurous, there is currently a Sturgeon tartare, served with Garlic Puree, Tomato Jelly, Sweet Cream, and Dill Oil. The bar staff here also deserves a shout-out: the cocktails are creative and delicious. Sobo (311 Neil St): Chef Lisa Ahier started her business as a food truck, but a few years ago, moved into the permanent location where she currently works her magic. Everything that comes out of her kitchen is amazing, and there is a mind-boggling variety of it. You’ll see locals in Sobo every day of the week hoovering down her Huevos Rancheros at the bar. Her fish chowder (she revealed to me that she uses Chum, which she feels is incredibly under-appreciated) is famous for miles around, and they also have a showcase of baked goods that are all to die for, including ice-cream sandwiches. For dinner, try her Killer Fish Tacos (NOT your traditional baja fish tacos) with seasonal fruit salsa. 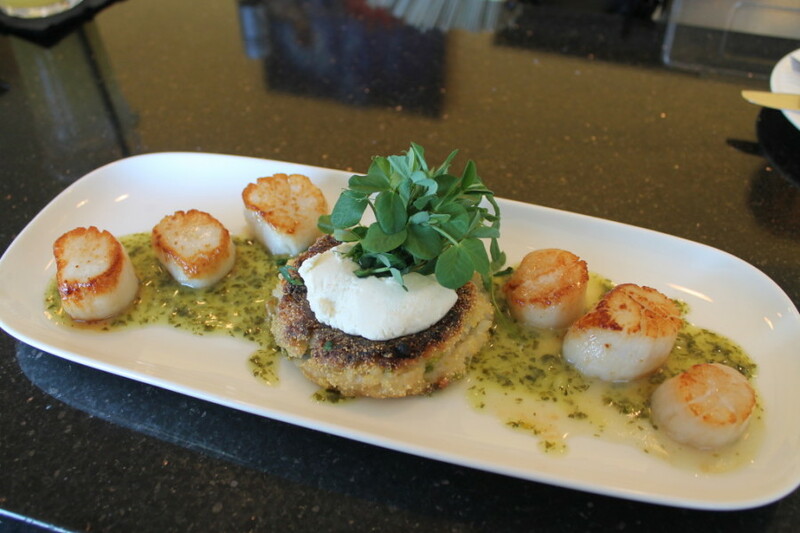 She just recently put a duck ramen on the menu that she’s pretty proud of, and I swooned over her Flatbread Pizza and her Seared Qualicum Scallops, which come served with a sweet pea risotto cake, fromage à la crème, a lemon mint sauce and microgreens. My absolute favourite thing, though, were Chef Lisa’s Cibolo Shrimp. A Texan-born pescatarian, Lisa wanted a bar snack akin to a chicken wing, so she made it with shrimp. 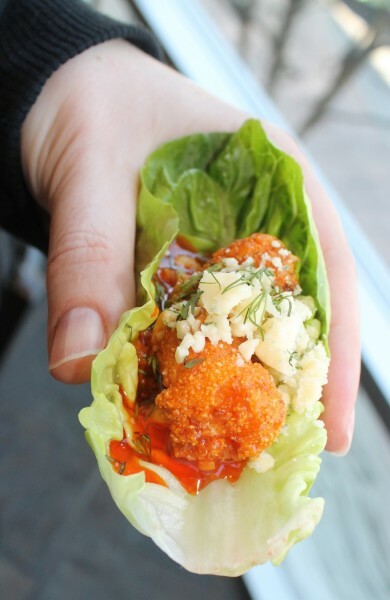 The recipe pairs a crispy, cornmeal-breaded spot prawn on a bed of gem lettuce with a cayenne tequila sauce, bleu clair cheese and dill. You’ll want to have one of their hand-squeezed (and ginormous) key lime margaritas with it. 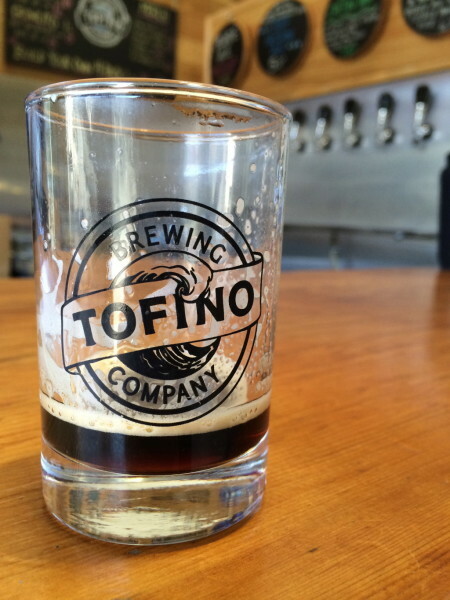 Tofino Brewing Company: No trip to Tofino is complete without visiting the home of the Tofino Brewing Company. Located in an industrial park just outside the main town of Tofino, drop by and say “hi” to the owner and brewmaster, Brian. Try one of his seasonal selections (they change all the time–when I was there, they were serving up a Kelp Stout), or pick up a growler or a few bottles of his most popular brew, The Blonde Ale, to take home. There’s a saying in Tofino that goes “nobody ends up in Tofino by accident.” It is, indeed, a bit of a trek to get there, but the journey is so worth it! You’ll be rewarded with miles of pristine beaches, gorgeous sunsets, world-class hiking and fishing, and of course, amazing food. For more information, or to plan your next trip, check out Tourism Tofino.